The Borough of Oadby and Wigston has a number of sites for wildlife, which are managed with support of the Council’s ranger team. 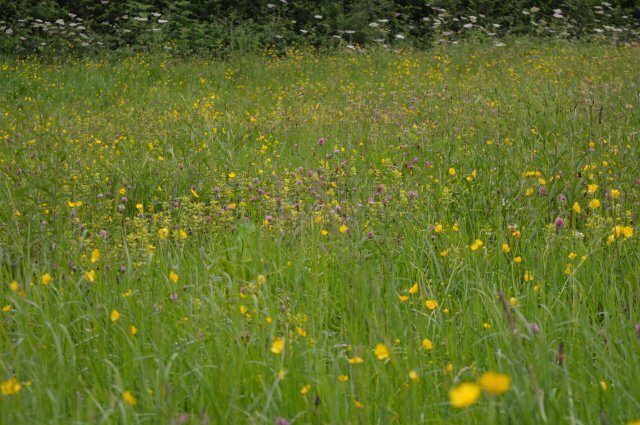 This conservation management work aims to enhance the natural areas within the Borough. Nature conservation often needs a helping hand and a worthy input is made by the many volunteers in the Borough. There are regular volunteer opportunities all year round in Oadby and Wigston Borough Councils Country Park, Brocks Hill centre and our wildlife sites. Conservation work is a great way to meet new people, become more active and relieve the stress of modern living. Work can also include undertaking footpath maintenance, maintaining boundaries, woodland management, litter picking, gardening, planting trees, and laying hedges. Volunteers also help in summer with grassland management and hay making; planting wildlife flowers to improve wildlife habitats. Local volunteers also act as eyes and ears on sites, alerting Borough Council staff to any issues and also helping keep sites tidy and clean. If you are interested in volunteering, you will need to bring along some sturdy boots and waterproofs (preferably old ones you don’t mind getting muddy). As well bring a packed lunch and we will provide the refreshments. In summer we advise you bring sun protection and plenty of water – it doesn’t always rain! The Council's tree warden scheme is also an opportunity for anyone who has an interest in trees to get involved with various projects round the borough raising awareness of trees within the community. If helping with practical conservation tasks is not for you, then you may wish to help with bird and butterfly recording. We have volunteer opportunities for people who would be willing to help record local wildlife seen at sites. For example you could help to record bird, bee and butterfly throughout our Borough wildlife sites. Environmental wardens are a group of volunteers, responsible for looking after an area of the borough of a size and location suitable for them. This could be as small as the pavement of the street in front of their house. Larger areas include an open space, a row of shops or the roads near a school. If you are interested in any of these projects, or would just like to be considered for projects in the future, please complete the application form within the Volunteer Policy Procedure and return to the address given therein.